(RxWiki News) One of the concerns about taking antidepressants while pregnant is the possible effects on the baby. Surprisingly, these medications may help a baby's language development. A recent study found that a mother's untreated depression may slow down a baby's language development. Treating the depression with antidepressants may speed up part of this language development. 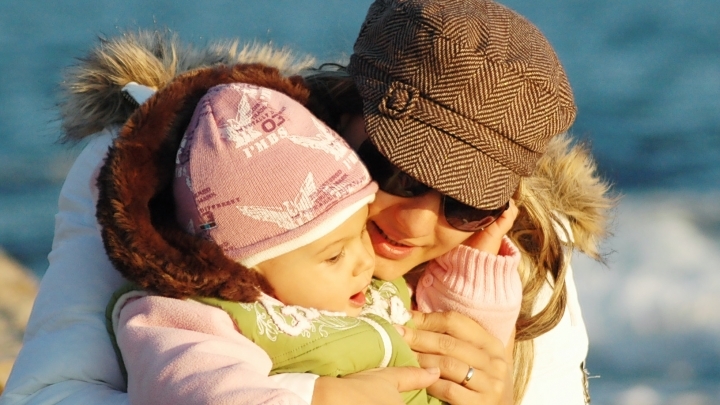 The study, led by Janet Werker, of the Department of Psychology at the University of British Columbia, involved three groups of moms and their children's early language development skills. One group of 32 mothers was taking serotonin reuptake inhibitors (SRIs) for treatment of depression. The medications included were paroxetine (Paxil), fluoxetine (Prozac), sertraline (Zoloft), citalopram (Celexa), escitalopram (Lexapro) and venlafaxine (Effexor). Another group, with 21 moms, had been diagnosed with depression but were not taking antidepressants. The third group, with 32 mothers, did not have symptoms of depression. The researchers assessed some of the signals of early language development in these women's children at 6 and 10 months old. They did this in two ways. One way involved showing the babies videos of people speaking different languages while observing their eye movements. Babies will look at something longer if they do not recognize it, such as a language they have not heard from their parents or in their environment. A typical child with normal language development can visually tell the difference in videos between their own native language being spoken and a different spoken language when the babies are 4 to 6 months old. However, they usually cannot tell the difference starting at 8 months old unless they are raised bilingual. So a typical developing baby born in an English-speaking home in the U.S. will notice the difference between their language and a different one at 4 to 6 months but not at 8 to 10 months. In this study, the researchers used English and Hindi for the two different languages shown in the video. All of the babies were raised in English-speaking homes. The researchers also measured the babies' heartbeat changes in response to language when the babies were still in the womb at 36 weeks of pregnancy to see if the babies could distinguish between vowel sounds and consonant sounds. The children of the non-depressed mothers responded as expected according to normal development patterns in the first experiment. The babies were able to tell the difference between English and Hindi on the video at 6 months old but not at 10 months old. However, the babies of the mothers taking SRIs performed similarly at both 6 months old and 10 months old — they could not distinguish at either age. That result is slightly advanced for this measurement of language development. Meanwhile, the babies of mothers who were not taking medication for their depression still distinguished between the languages at 10 months old, which means that part of their language development was slower than in the other babies. The results were similar in the womb. The unborn babies of mothers taking SRIs while pregnant showed development a bit ahead of the unborn babies of the non-depressed moms. While the unborn babies of non-depressed moms could distinguish vowels but not consonants at 36 weeks of pregnancy, the unborn babies of moms taking SRIs could distinguish both. The study could not lead to any conclusions about depression and/or moms taking SRIs and longer-term language development, which Dr. Werker said she plans to study. But the study does reveal that a mother's mood and her medication treatment appear to be linked to language development differences. "The findings highlight the importance of environmental factors on infant development and put us in a better position to support not only optimal language development in children but also maternal well-being," Dr. Werker said in a release about the findings. "We also hope to explore more classes of antidepressants to determine if they have similar or different impacts on early childhood development," she said. The study was published October 8 in the Proceedings of the National Academy of Sciences. The research was funded by the Canadian Institutes of Health Research, the Canadian Institutes for Advanced Research, the Human Frontier Science Program and the Michael Smith Foundation for Health Research. The authors declared no conflicts of interest. PNAS, "Prenatal exposure to antidepressants and depressed maternal mood alter trajectory of infant speech perception" The University of British Columbia, "Maternal depression affects language development in babies"